Hello! I'm presenting you another of my grammar series: STARS and GRAMMAR. The biography tips are arranged the way to practise different grammar aspects. 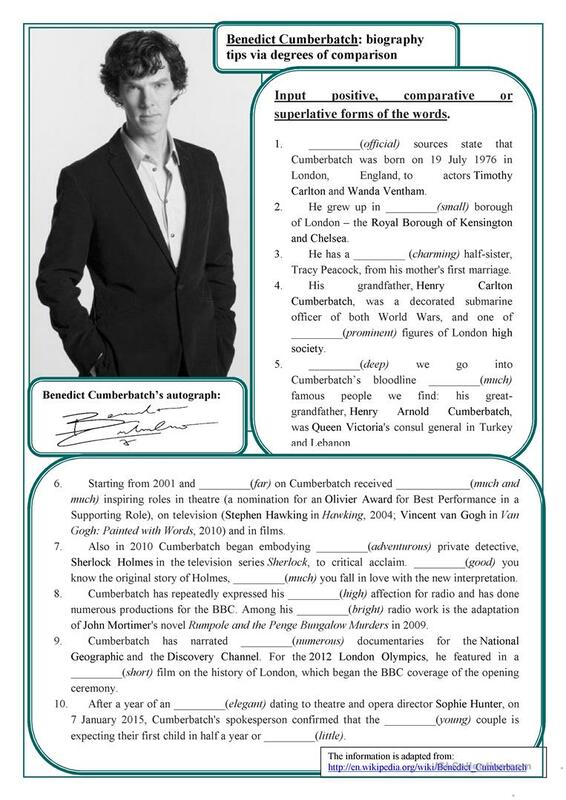 This one is dedicated to Benedict Cumberbatch. The KEYS are attached, your comments and likes are always warmly welcome. The present printable, downloadable handout is best suited for high school students and adults at Intermediate (B1), Upper-intermediate (B2) and Advanced (C1) level. 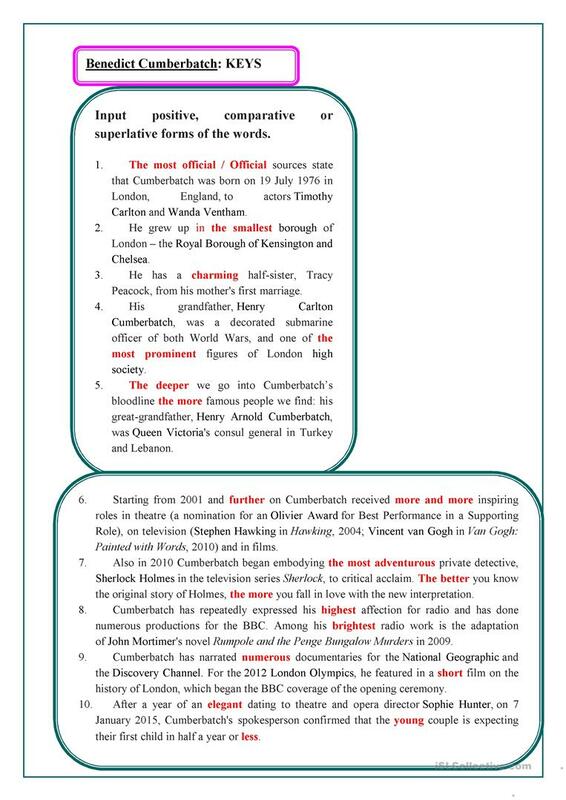 It is a useful material for revising Comparison (comparative and superlative) in English.